Deadline: 2nd September 2018 at 23:59 CET. 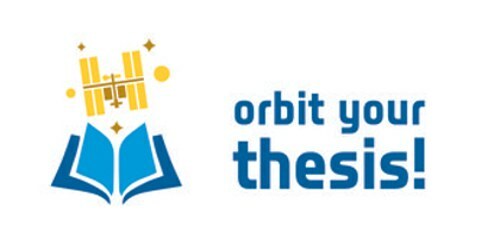 ESA Academy is pleased to announce the new Orbit Your Thesis! programme. Students will have the possibility to fly their experiment on the ISS! The Orbit Your Thesis! (OYT) programme gives master and PhD candidates the opportunity to fly a scientific experiment in microgravity conditions onboard the International Space Station (ISS). Successful applicants will be given the opportunity to design, build and operate a fully autonomous experiment that will stay onboard the ISS for a period lasting up to 4 months in the “ICE Cubes” facility. Student teams with ideas for experiments should read more about the programme and eligibility criteria on the Orbit Your Thesis! website and submit their proposal before the 2nd September 2018 at 23:59 CET deadline. Selection of the experiment will be done in early November 2018 after a workshop where teams will defend their proposals in front of a panel of experts. The selected team will have approximately one year to design, develop and test their experiment with the support from ESA, Space Application Services and the European Low Gravity Research Association (ELGRA). Pending successful completion of the required tests and in accordance to safety reviews, the experiment will be launched to the ISS where it shall be installed in the ICE Cube facility and remain operational for up to 4 months. During this period, the students will have full control of their experiment, consistent with ISS communications coverage. Students will have the possibility to conduct multiple runs in accordance to the experiment’s objectives.